This log starts from version 0.5.0. Older versions are omitted, but this should be kept up-to-date when a version update happens in the future. 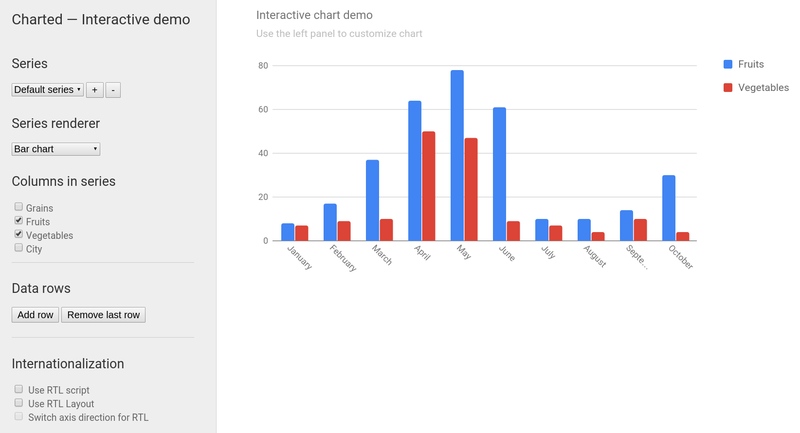 Internal changes to make charted Dart 2.0 compatible. Stacked line renderer for rendering stacked line. Add type and explicit casting to enable strong mode. Because charted depends on browser any which requires SDK version <2.0.0, version solving failed. Run dartfmt to format lib/charts/src/cartesian_area_impl.dart. Run dartfmt to format lib/core/utils/lists.dart. Run dartfmt to format lib/svg/shapes/rect.dart. Common filename patterns include main.dart, example.dart, and charted.dart. Packages with multiple examples should provide example/README.md.